As my long-time fans may remember, back in 2007 – which is to say, more than a decade ago, and YES I am dying a little inside at that realization – I dipped on the Coney Island Creek Western Reef Heron, a major rarity from another continent that was seen by pretty much every other birder on the eastern seaboard. As a result (albeit a very very indirect result) I left my boyfriend, moved more than halfway across the U.S., and got a master’s degree and a tattoo. Last Friday, a Kirtland’s Warbler appeared in Central Park for the first time ever, shortly before I was obliged to get on a plane to Tennessee. By the time I got back, it had moved on, but not before giving everyone else spectacular views – as well documented at this very site. So, faithful readers, what’s next for Carrie? 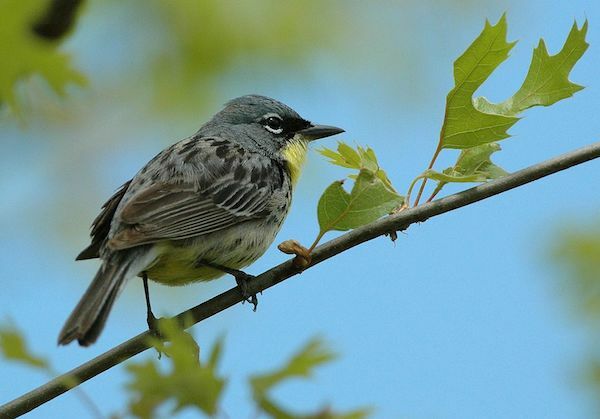 Featured Image: This Kirtland’s Warbler is not the tiny jerk in question. Photo by Jim Hudgins courtesy of the U.S. Fish and Wildlife Service. Have you considered a Big Year like Tom is doing? When you see that many new and incredible species in a year, missing one hardly stings at all. I never saw the reef heron, either — in my county (where it was first seen) or in Brooklyn. I agree with Mike, hit the road! I drove within 15 miles of the only sure spot to find a Black Stilt, after traveling all the way to New Zealand to see it. The road was rained out, and would not open until the next day……That one is still haunting me! BTW, I did get a Reef Heron in Darwin, on my very last day there, after several close calls. Carrie, this is hilarious! Never ever ever give up birding or writing! You have a gift. Emigrate to Germany and find Europe’s first Kirtland’s Warbler. Could Radar Help Make Birdstrikes a Thing of the Past?